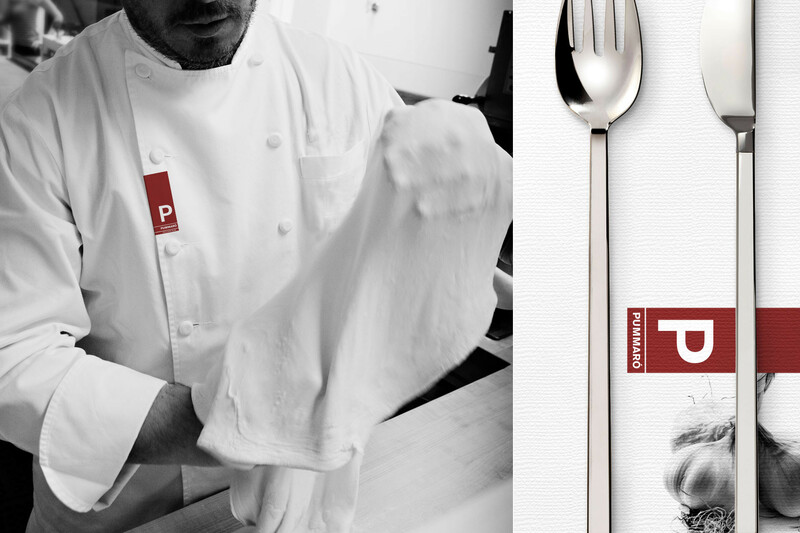 Dining is a great environment for brand expression. 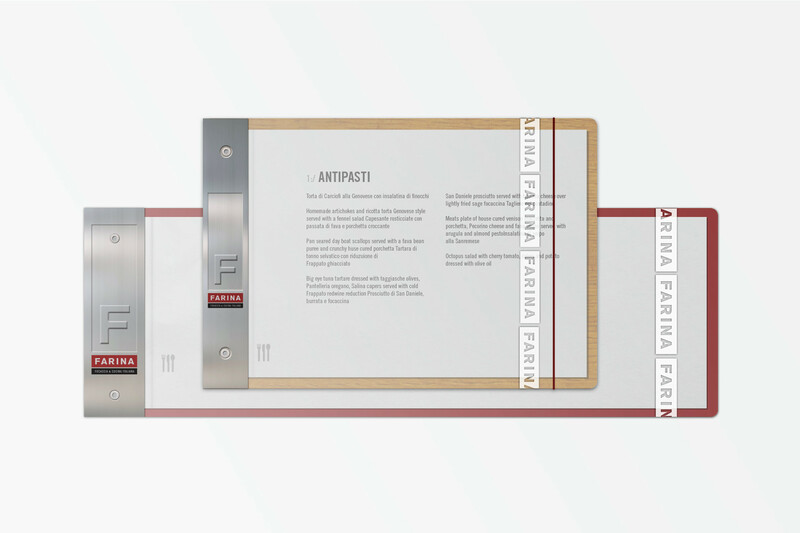 When Brand Tango worked on The Press Room concept for a boutique hotel on the West Coast of Florida, we envisioned a coffee shop with a nouveau French Factory setting complete with a working turn-of the century letterpress churning out gift cards, coasters and ephemera. 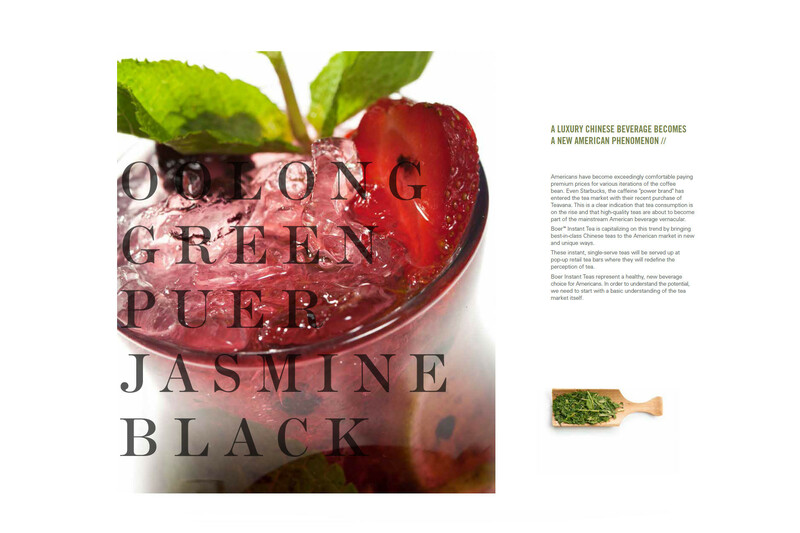 Individual French press coffees create a fun brand ritual and a delicious brew. 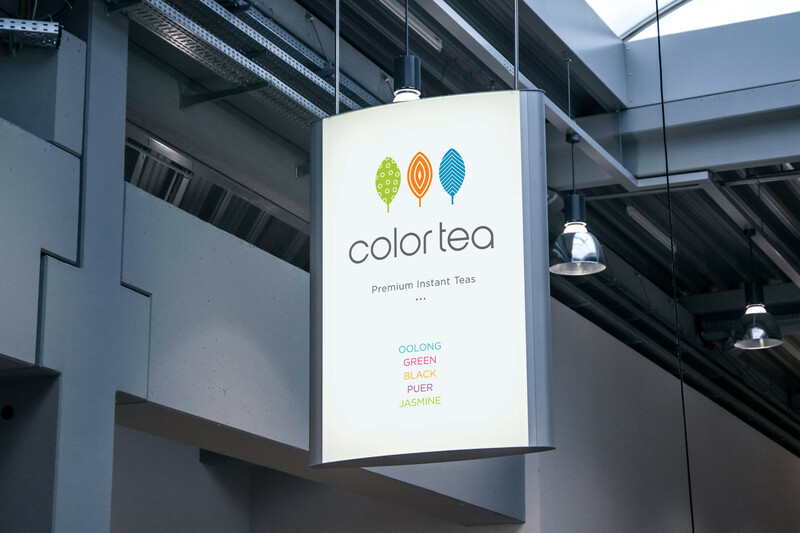 Our team is highly experienced in amplifying the passion and inspiration behind our F&B clients to intensify their brand positioning and reinvigorate their brand identity—such as with Casa D’ Angelo, James Beard, Farina, and ColorTea. Dining has been raised to an absolute art form. 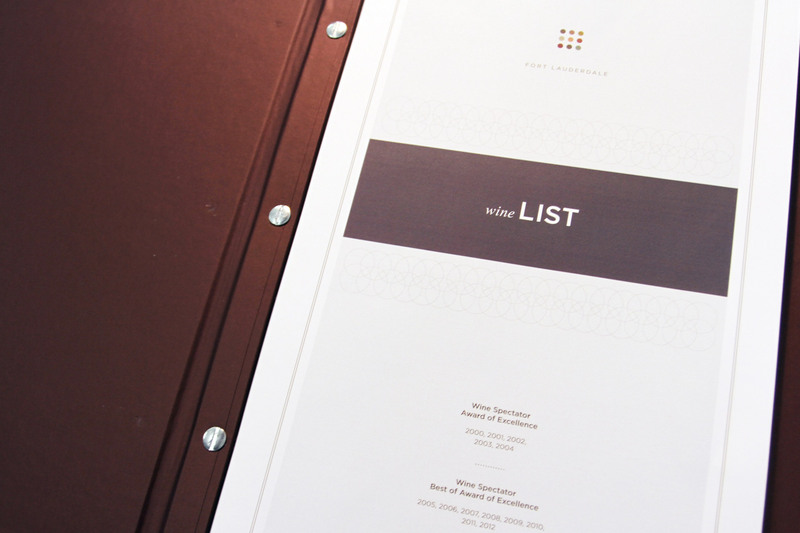 From menus to décor and the tablescape, every touch counts. 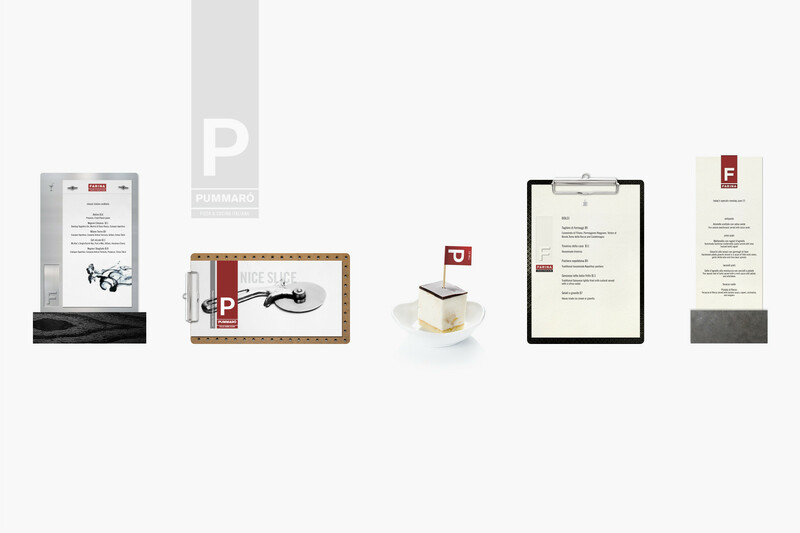 Our team of brand engineers believe that every element of F&B design should be regarded as a piece of art. 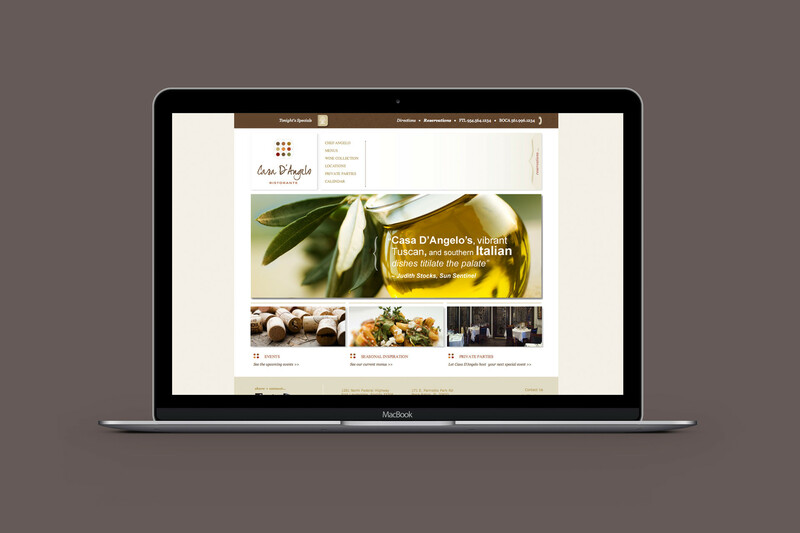 For Casa D’ Angelo, we created a new optical identity to reinforce their status as one of the most well known Italian restaurants in their market. 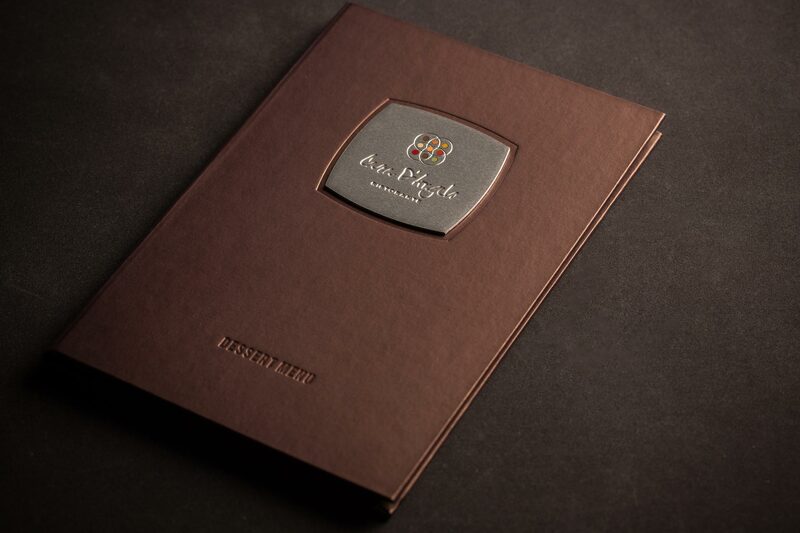 The stunning quality of the materials used to create the seemingly handcrafted menus was further accentuated by the application of vivid colors, reminiscent of the rich food in Italy. 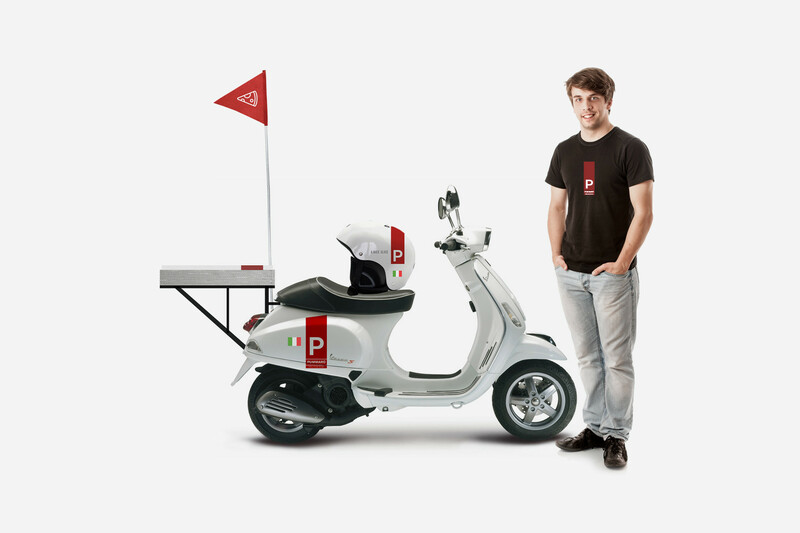 The menus, tablescapes, food delivery rituals, product packaging, branding and signage sit squarely in the brand toolbox. 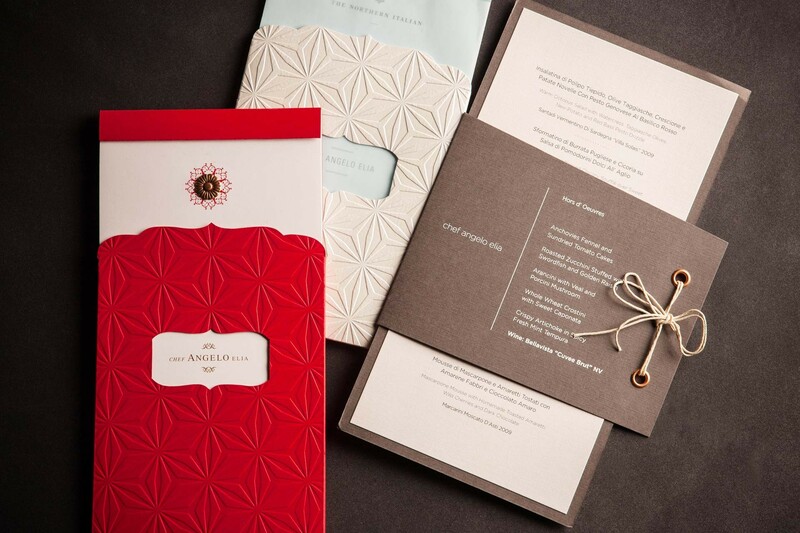 For the James Beard event they hosted, a top honor for any chef and restaurant, materials continued to be the winning touch as our team utilized embossed, raised sheets and intricate outer sleeves to spruce up their menu renderings. 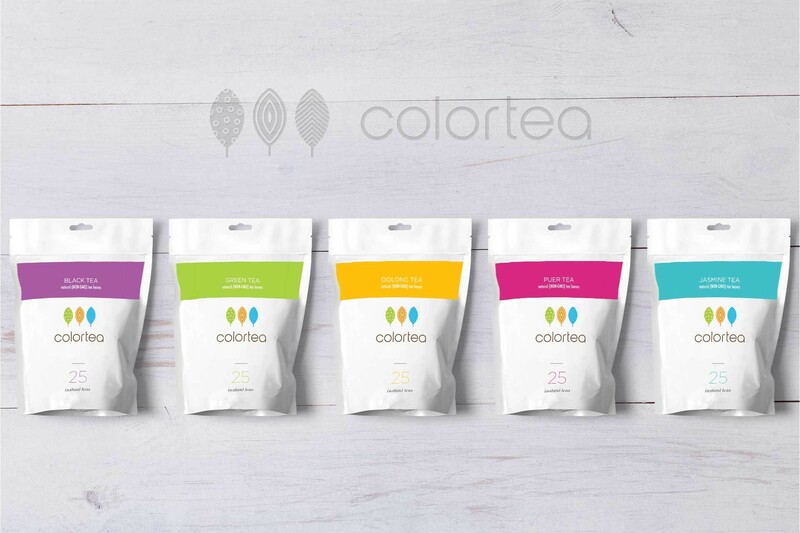 For Farina and ColorTea, we conducted a comprehensive image assessment based on brand, channel, and market research in order to understand the current state of their individual categories as well as rejuvenate and stimulate their growth. 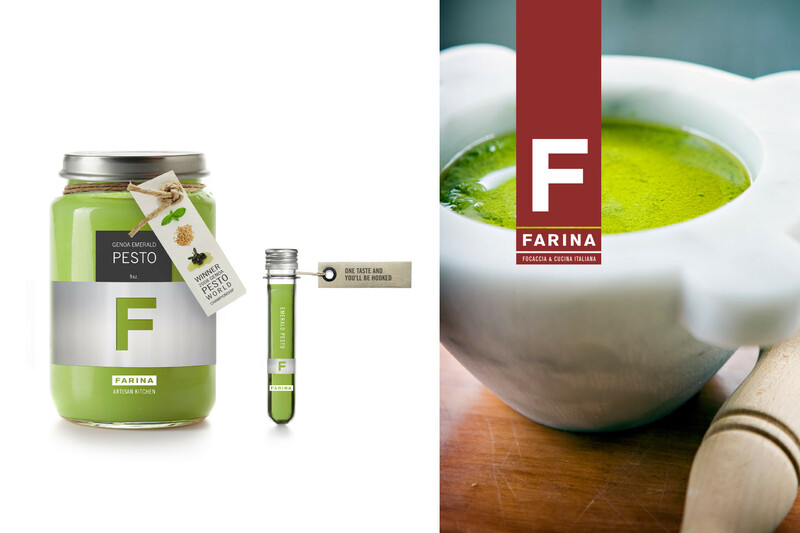 With Farina, we crafted a new way to garner consumer participation for their special pesto: conceptualizing and designing a sample vial, complete with a purchasing information tag, at the conclusion of each patron’s meal. 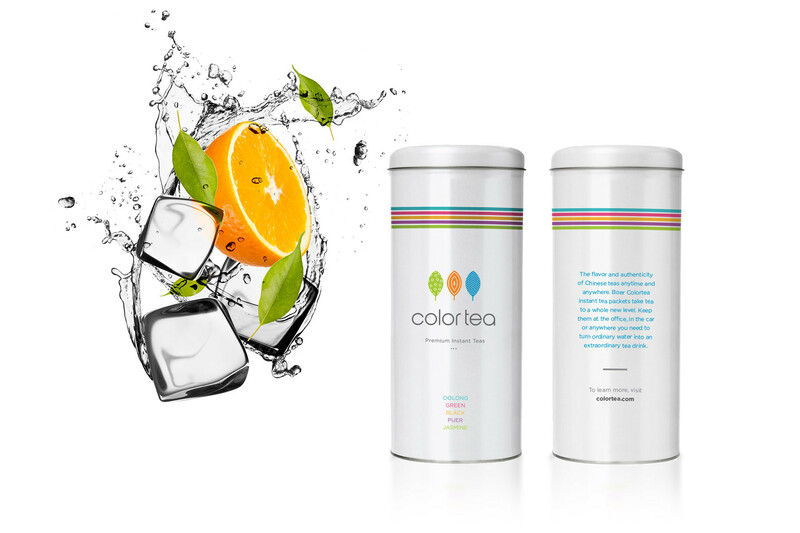 In similar fashion, presentation played a significant role in the ColorTea project as we boosted the vibrancy of the packaging to segue the traditional Chinese brand into a contemporary and challenging American market.